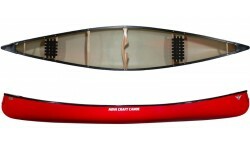 Nova Craft Canoes began in 1970, when they started producing fibreglass canoes in a small-scale, garage-based operation near in Canada. Over the years Nova Craft has grown thanks to its reputation for producing quality designs to a high quality. Today, Nova Craft offer a full catalogue of open canoes in a variety of different construction materials with something to suit every paddler. 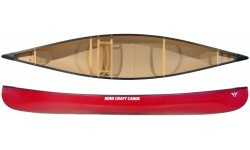 The Nova Craft Prospector 15 is a compact canoe that offers great all round performace. Contrsucted from Nova Craft tough SP3 triple layer material. 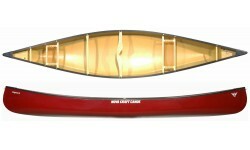 Ideal as a solo / tandem canoe. The Prospector 16 SP3 excels on longer river trips but is equally at home carrying the family for an afternoon picnic or even some moderate whitewater action. A true do it all machine. The Prospector 17 can take on the heaviest load or the whole family or both! The Prospector 17 will take the knocks & look after its occupants on longer expeditions or lazy river afternoons. The Nova Craft Prospector 15 is a compact canoe that offers great all round performace. Available in different contrsuctions to suit all weight and budget requirements. 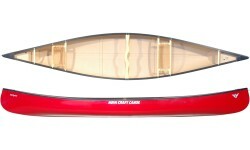 Ideal as a solo / tandem canoe. The Prospector 16 TuffStuff excels on longer river trips but is equally at home carrying the family for an afternoon picnic or even some moderate whitewater action. A lightweight true do it all machine. The Prospector 17 TuffStuff is a lightweight canoe capable of carrying larger loads for longer trips, overnight camps and expeditions. The Nova Craft Bob Special is a compact 15' canoe that has added width for stability but is still highly manoeuvrable thanks to its hull design. Popular for solo and casual tandem use. 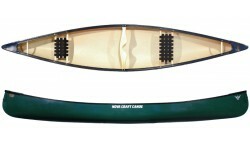 The Nova Craft PAL 16 is one of the best general-purpose traditional canoes ever made. 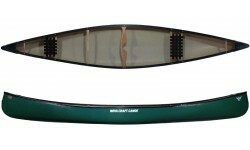 A great choice for paddlers who want a canoe that does it all well. The Fox 14 is a beautifully made 14ft solo touring canoe. Ideal for flatwater and made from Tuffstuff the Fox is incredibly easy to manouver both on and off the water. 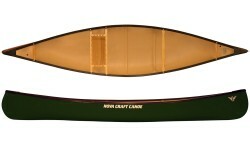 The Trapper 12 is a solo single person canoe constructed from Nova Crafts lightweight TuffStuff material. 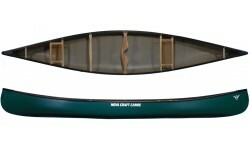 A stable yet manoeuvrable open canoe with plenty of room for gear.